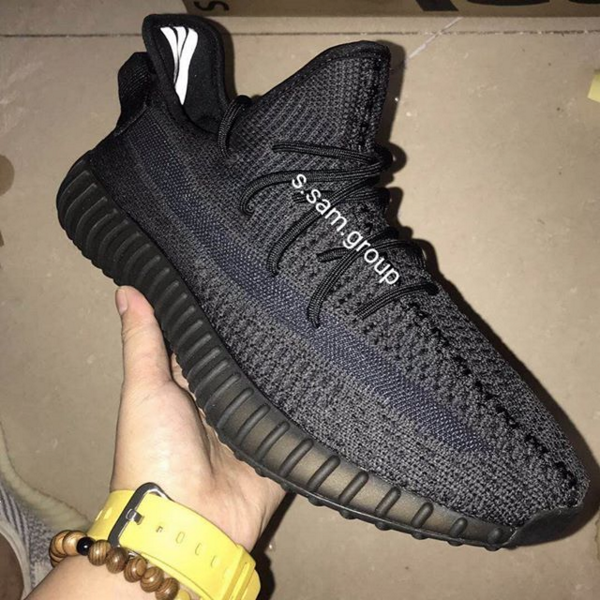 Early look at the black Yeezy Boost 350 V2. A predominately black version of the Adidas Yeezy Boost 350 V2 is reportedly in the works, and today we have our first look at what to expect. 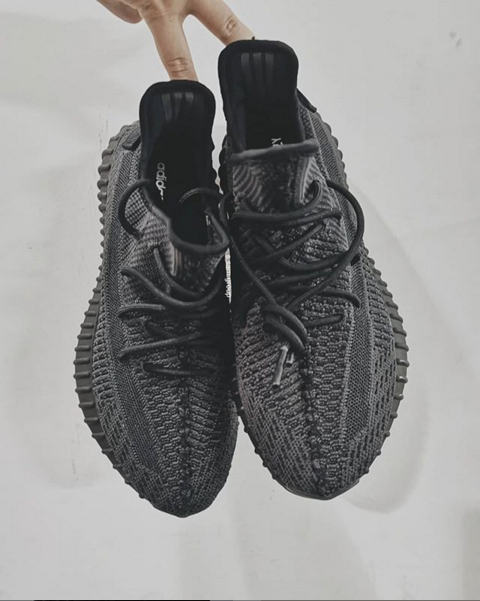 The primeknit construction of the low-top Yeezys comes dressed in varying shades of black and dark grey, while the Boost midsole, laces and inner lining are all decked out in black. A few weeks back, Adidas CEO Kasper Rorsted revealed to CNBC that Kanye and Adidas have more than 20 releases on deck for 2019. Rorsted noted that the Adidas Yeezy collabs “started out being focused on creating a few products, on few releases with a lot of hype," but the brand is focused on making the beloved sneakers more available this year. Specifically, Rorsted pointed to Adidas' goals of expanding the number of Yeezy Boost 350 releases, while still maintaining limited releases for some of the newer models. Adidas has not yet announced release details for the newly unveiled Yeezy Boost 350 V2 - but Yeezy source @YeezyMafia suggests the kicks are "coming soon." Scroll down for early images of the new style and stay tuned for official release details. Kevin Gates To Star In Jordan Peele's "Twilight Zone"